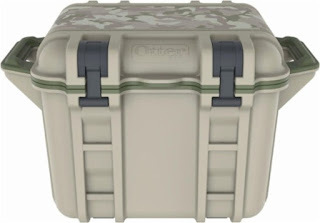 Today only, while supplies last, Best Buy is offering up 50% off Select Otterbox Venture Coolers. Bring fresh food and cold refreshments to outdoor trips with this 25-quart OtterBox Venture cooler. Its tough latches provide a sturdy, tight-sealed closure, and its built-in mounting system lets you securely attach multiple Venture accessories. This rugged OtterBox Venture cooler comes with a handy bottle opener, and its slanted interior bottom enables easy drainage.